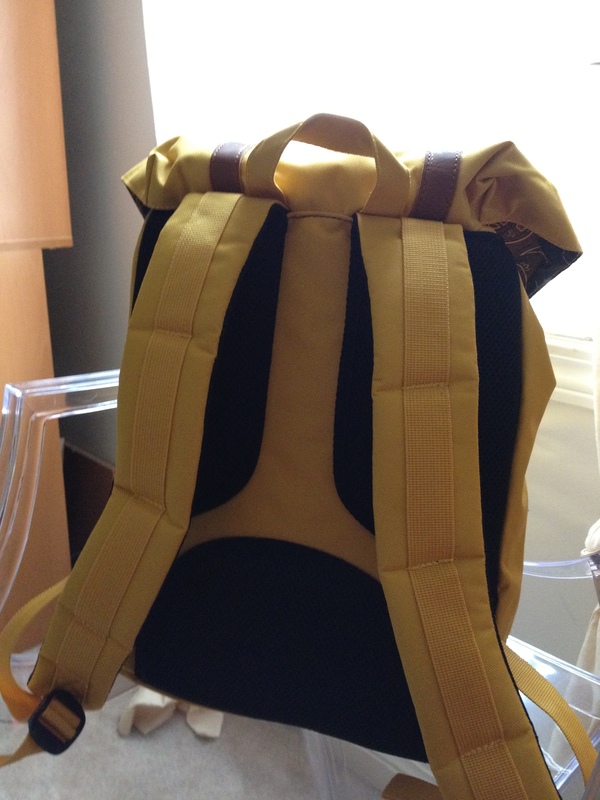 I kept on tossing and turning, asking myself, do I really need the most awesome backpack in the world?! And I answered my own question. 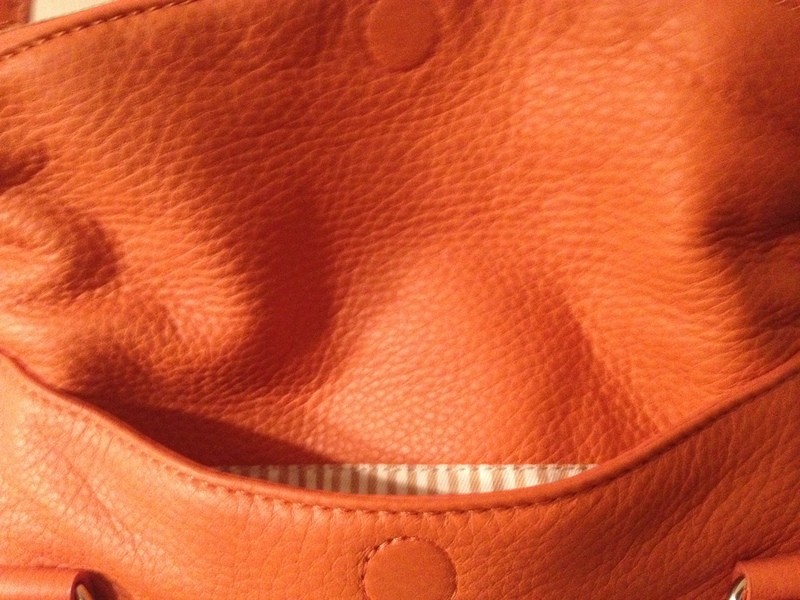 A little bummed that a lot of people are discovering the Herschel, but I had to jump on the trend. 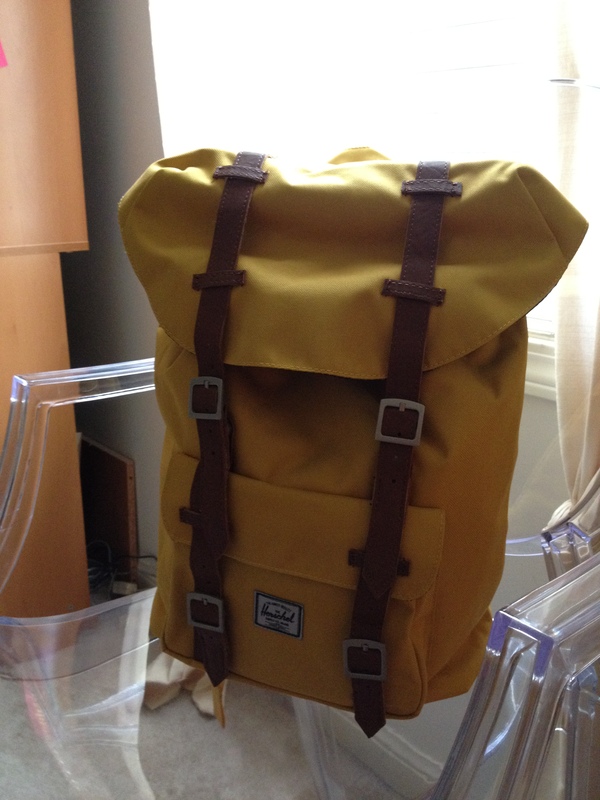 I opted for a yellow one, hoping I won’t run into too many people with this colour. There is a padded slot for your laptop or tablet which makes it perfect for travel and the back support will added extra comfort! 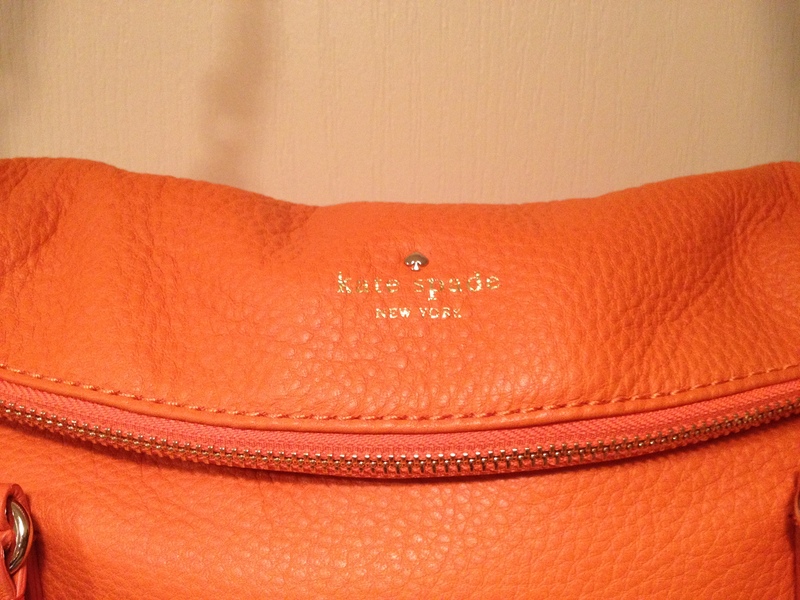 So excited to use this on my next travel!! I feel or I’m trying to convince myself that I have all the types of boots I could hope for…BUT these are just beyond awesome! 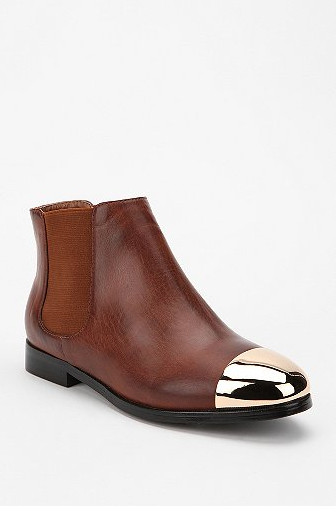 I love that it’s a chelsea boot (I have a black one from asos.com and they are my go to boots) and the steel toe cap is all the rage of the season. This is a great alternative to the steel toe cap flats if flats aren’t your thing. I love love love ghost chairs the concept is really rad especially for small spaces. I bought these 2 from kitchen stuff plus for $100 each! I’m all for the big hold all bag for work, but why should I carry 3 separate bags when I’m commuting to work?! 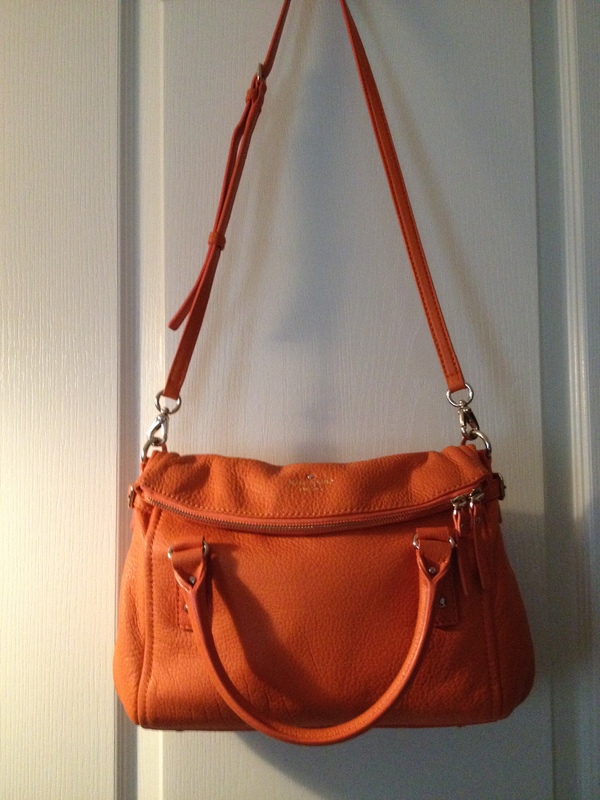 But when you’re having a weekend stroll downtown, or just running errands, leave the big bag home. 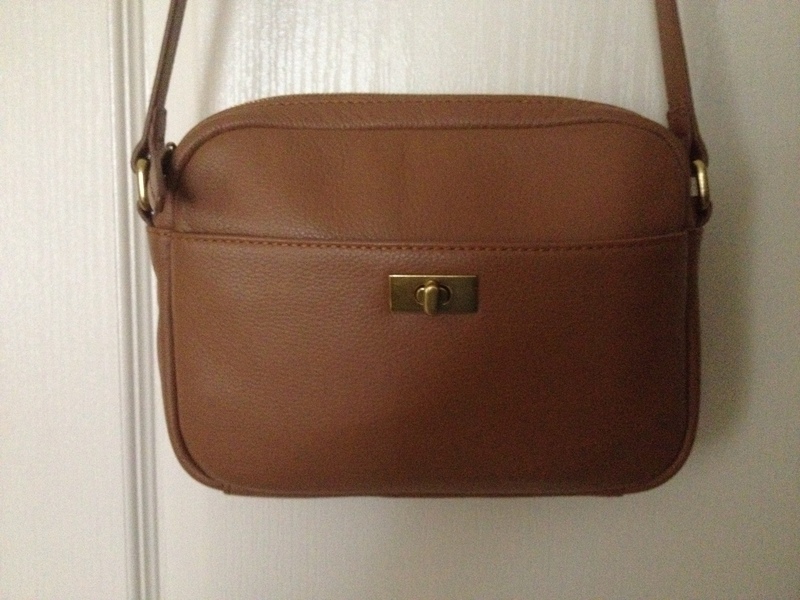 I recently bought this bag from J Crew, I had to dish out a little bit more money but the quality of the bag is worth it. 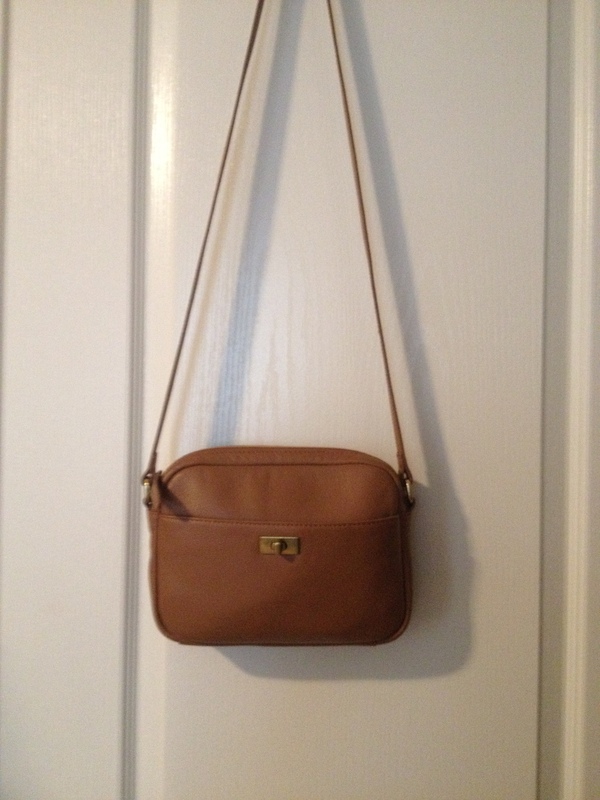 Do you prefer a smaller or a large bag? 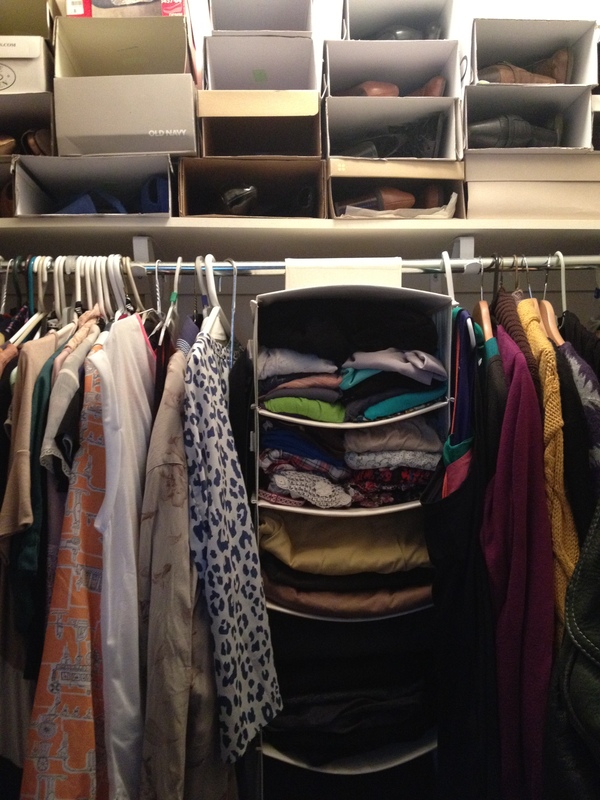 Last week I took yet another stab at organizing my closet. 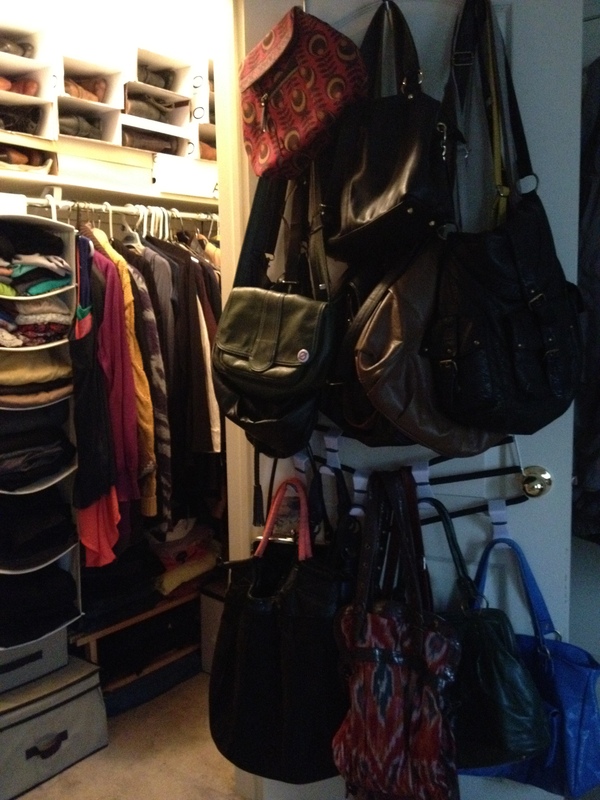 My closet is categorized as a walk-in closet but it really is a “step-in” closet. It usually is neat and tidy but how do I make it neat and tidy and having items at my finger tips?! 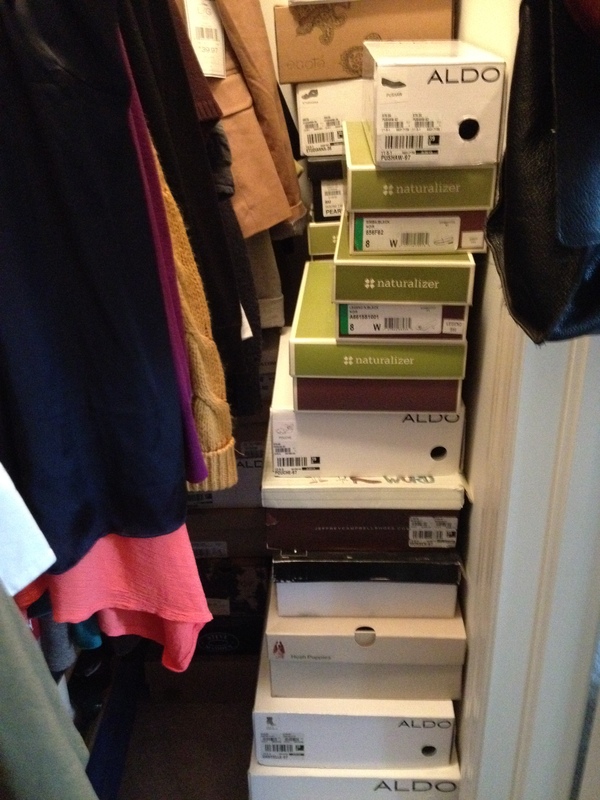 As a shoe-crazed individual I was finding it very difficult to fit all of my shoes in my closet, and as you can see from the image making it harder to get to my clothes at the back of my closet!!! 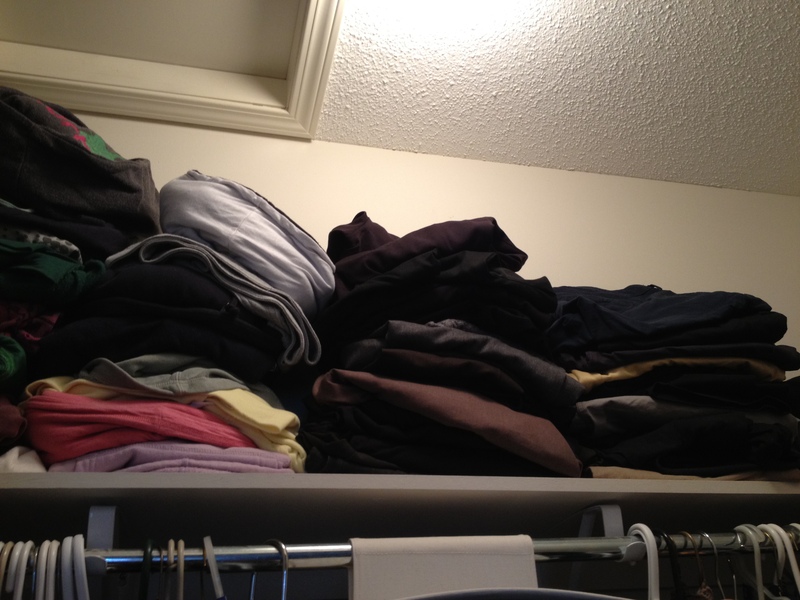 This is my leaning tower of pants and hoodies. I usually wear pants to work, so having them at the top of my closet makes it really troublesome. I have to get on my computer chair to grab a pair. Also it looks very unsightly. One solution (still unsightly though) was to utilize every space possible in my closet, the bottom half of my closet door was no exception. I didn’t want to drill holes in the door, so I tied twine from the top hook to 2 pants hangers and hung my other bags at the half way point of the door. I bought cheapy hooks from the dollarstore and hooked them onto the pants hanger, also from the dollarstore. As I sigh in relief, I can finally get in my closet. 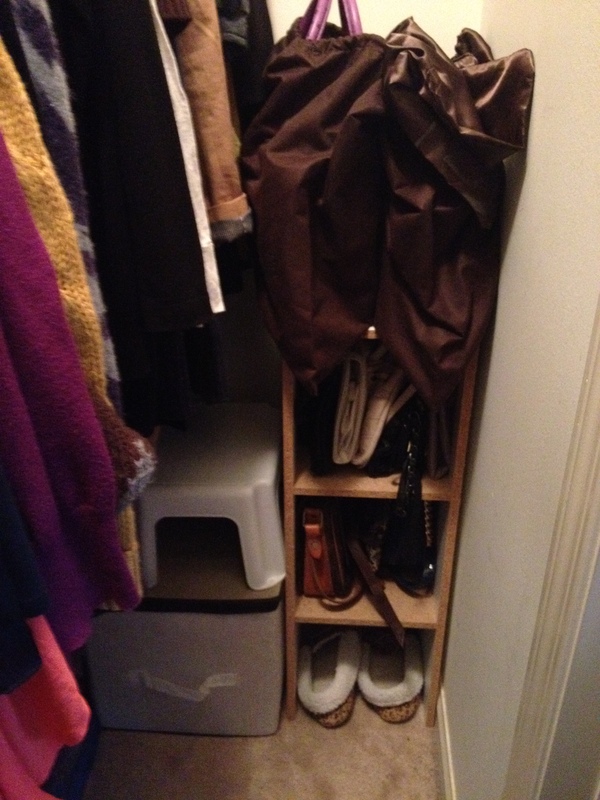 I moved a shelf I found in the basement and placed my small bags in there, I bought a dollar store step stool to get to the top shelf and the white box underneath is where I store my leather bags without duster bags. And the tower of shoes have moved to the top shelf, for easy access I cut the front of the shoe box so I can simply pull the shoes I wish to wear. 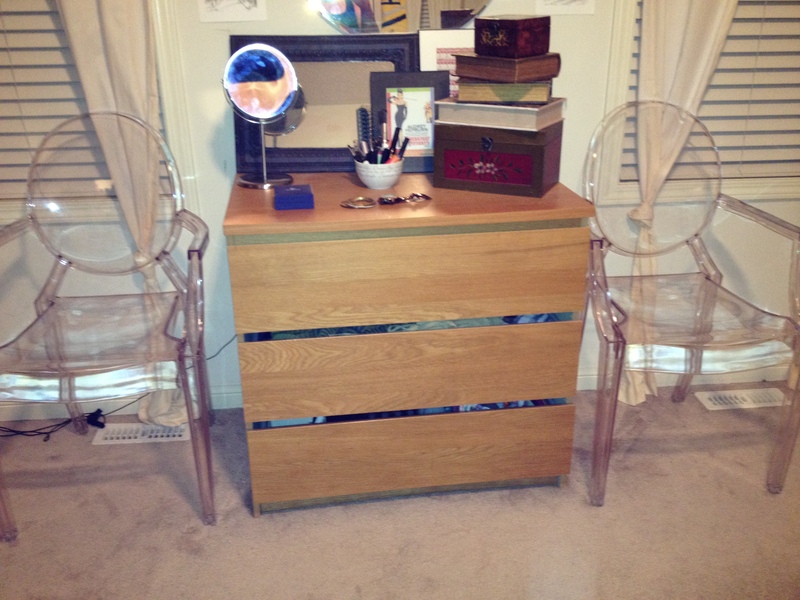 I put my pants in the hanging compartment, and moved the tops that were originally there to a dresser drawer. 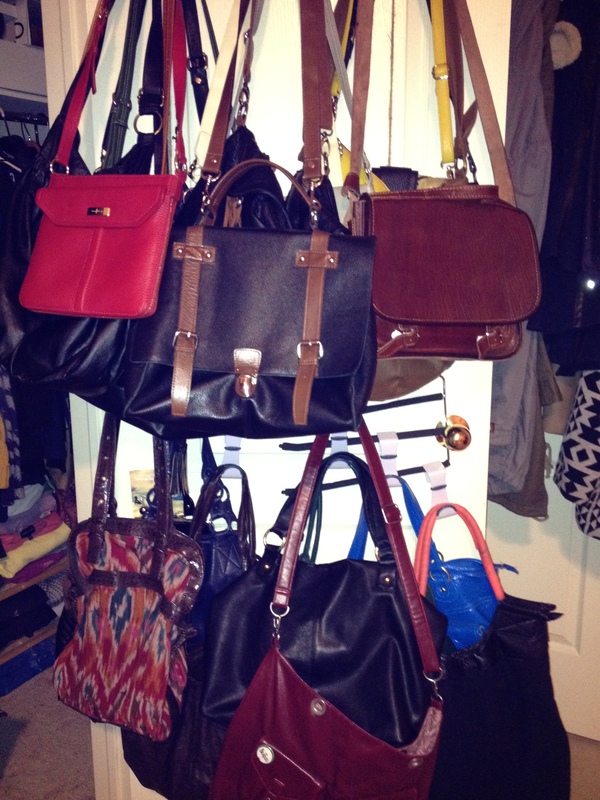 My bag door still looks the same, but I did manage to put some bags in the book shelf in my closet. The hoodies have been moved to the shoe rack under my clothes hanger. I hope I was able to provide some tips, please feel to share any tips you may have, happy cleaning! Add a peplum to your step! I’m in love with all things peplum, whether it is a peplum top, skirt or dress, it is functional because it can hide your tummy and adds some flair to your outfit. Try a peplum skirt with a chiffon shirt tucked in! What do you feel about the peplum? Easy access compartment for your phone and keys, nice bonus!